Install new retaining ring (Figure 1, Item 2) in cylinder head (Figure 1, Item 1). 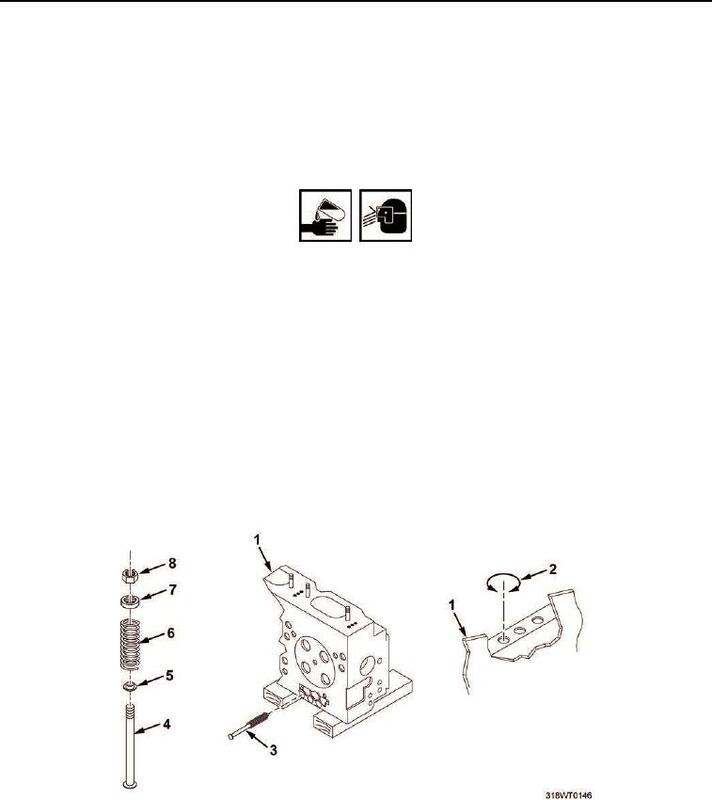 Remove retaining ring (Figure 1, Item 2) from cylinder head (Figure 1, Item 1) and discard. (Figure 1, Item 5) from push rod (Figure 1, Item 4). push rod (Figure 1, Item 4). spring (Figure 1, Item 6), spring seat (Figure 1, Item 5), and push rod (Figure 1, Item 4). (Figure 1, Item 6), spring seat (Figure 1, Item 5), and push rod (Figure 1, Item 4) for wear or damage. Using spring tester, compress spring (Figure 1, Item 6) to a length of 2.1406 in. (5.4371 cm). Using spring tester, verify minimum load of 250 lb (113.398 kg). Discard defective part. Dispose of contaminated cleaning cloths in accordance with local procedures. Figure 1. Cylinder Head Push Rod.